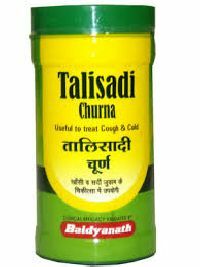 DETAILS Talisadi Churna is used to treat bronchitis, cough, cold, asthma, bronchitis, fever, vomiting and chest aches, spleen diseases. 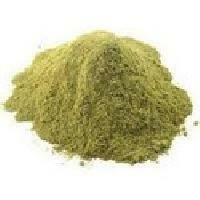 It is mainly used in the Ayurvedic treatment of respiratory and digestive conditions. 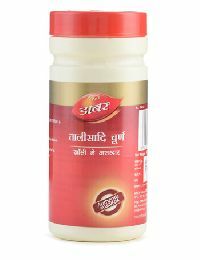 Improves digestion Strengthens respiratory system Helpful in treating anaemia Packing: 50gm, 100gm, 1KG Dose: -2 – 3 grams twice a day or as directed by physician. 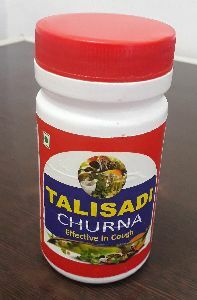 Product Description - Dabur Talisadi Churna is an Ayurvedic method for cure of cough and cold. 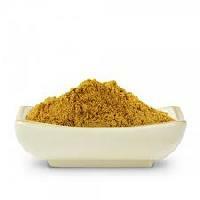 It is build up from herbs like Pippali, which is of the best expectorants present in nature. Key Ingredients - Pippali, sonth, black pepper and talisapatra. Side effects - No side effects reported Dose Direction for Use - As directed by Register Medical Practitioner Mentioned on product. 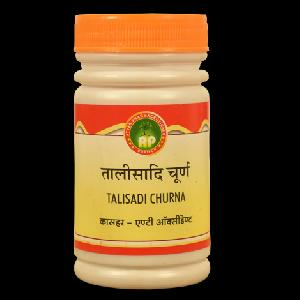 We are offering talisadi churna. 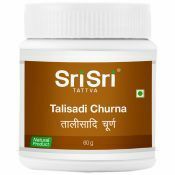 it is used in the ayurvedic treatment of cough, cold, asthma, bronchitis, fever, vomiting, diarrhoea, bloating, anemia, spleen diseases. 1 – 3 grams along with water, once or twice daily after food or as advised by ayurvedic doctor. 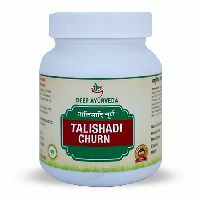 Talisadi Churan is a Classical Ayurvedic Medicine which is mainly used for the relief of CoughBronchitis, Dyspnoea, Pyrexa, Flatulance, Indegstion, Rhinitis, Loss of Appetite. cough, cold, asthma, bronchitis, fever, vomiting, diarrhoea, bloating, vomiting, side and chest aches, anemia, spleen diseases. DOSE:1-3gm twice a day with water or honey or as directed by the physician.